I’ll be taking the Photo Challenge literally this week with my shot of this framed, intricate, embroidery black work that was entered in the Missouri State Fair. Along with many other entries it has a purple ribbon symbolizing excellence in a hand created item. It won Special Best of Division. The owner should be loaded with pride! Here’s a close up of the details. I picture them getting totally consumed in the creation of this piece of framed art. It’s most definitely a true labor of love. for other entries in this week’s photo challenge, click here. 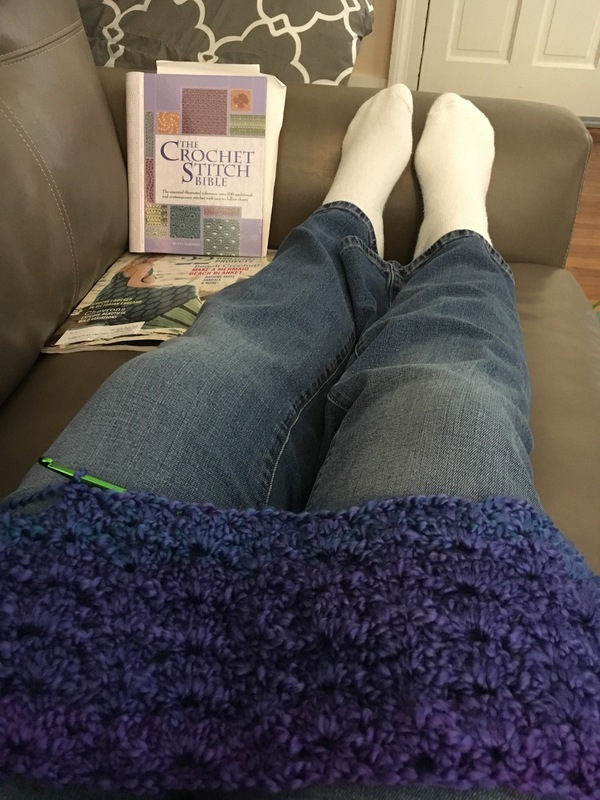 The recent October Crochet World was full of ideas I’d like to try out. If I only had enough hours in the day. I did have an hour yesterday between laundry and more laundry. Oh, and more laundry. * or applique for an Autumn blanket. I’ll probably settle for the napkin ring idea. I happen to have a small supply of twine from an auction that was brand new in the wrapper. Score for me! It was only a $1 for the entire box of goodies. Now time to dig out those Fall colors in the yarn stash. The last week I’ve been contemplating this Doors post. Thought about trying a theme with this subject. Toy Doors abound at my home. But maybe I’ll save up for that one later. Around here, I know of a few places that still have these sort of doors. But maybe that is too much for tender eyes? Or maybe some of you don’t get this? It’s your age I assure you. So you get the salt and pepper variety. Ask your parents/grandparents. Or Google. And speaking of age, these doors have old hitchin’ posts leading up to the front to tie up your old mare. Love that the owners kept these intact all these years. But in the end, there’s my boring ol’ door that leads home. It has seen more traffic in and out of it in the last 20 years of daycare than any of you can ever imagine. Over 150 children, their parents, grands, and greats, uncles, aunts,(some of them mine), both rich or poor and everything in between. Even a few pets to ‘show and tell’. Wouldn’t it be wondrous if all the doors we see could tell their story? Just a sampling this Sunday of Mother’s crafts she’ll have at the next craft show. See these and more items at Windsor,Missouri September 3. Local folks, hope to see you there! The Missouri State Fair is goin’ on here in Sedalia. While visitin last night, the Home Ec building was first on the to-see agenda. Mainly to see the quilts and crocheted items. But then This happened. A piece of Americana was on display. Nothing says Missouri like a piece of Harry Truman memorabilia. Further investigation was required to satisfy my curiosity. Found this info. Wonder if ‘The-Buck-Stops-Here Harry’ knew the background of this coat maker? Driving down Main Street in Sedalia, Missouri last night. Sedalia, Missouri was founded in 1860. Home of the Missouri State Fair, Queen City of the Prairie, The End of the Trail for cattle drives until the 1870’s. “A lot of people, when they think of the original trail towns at the end of the cattle drive, they may think of Dodge or Wichita, Kansas, but Sedalia was the very first. We are the original cow town,” said Trail’s End committee member, Linda Oehrke Myer. This was Archia’s Seedhouse on Main Street. Now abandoned, it once was a thriving part of Sedalia’s rich history. I look forward to this Thursday Doors weekly entry and sharing some of Sedalia’s past and present! Plowin through the ragid skies and up a cloudy draw….. Ghost Riders in the Sky. Heading across the Missouri State Fairgrounds, August 16, 2016. Spent a day at my daughter’s apartment getting things fine-tuned. Like calling the maintenance people about the shower. 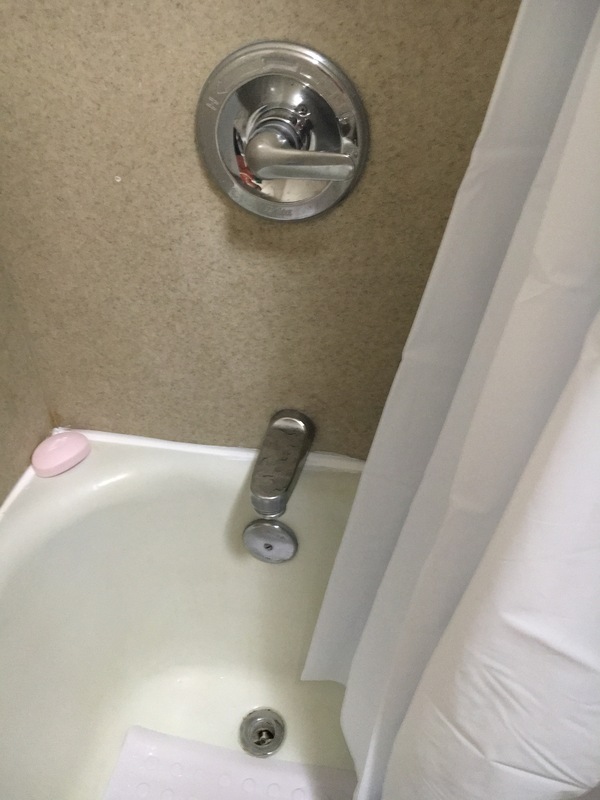 It’s supposed to flip up and turn on according to the email received after we both took baths without a shower or drain stopper. Interesting start to the day. And more for the shopping list. 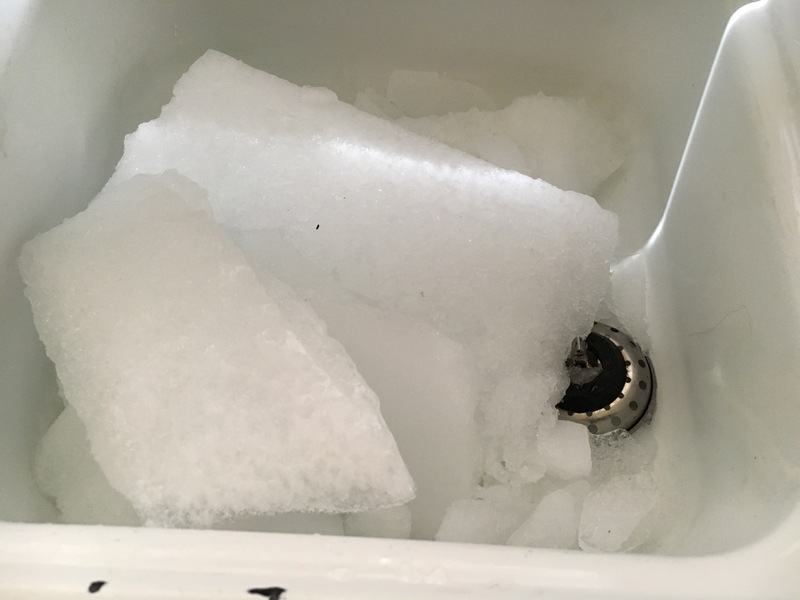 Then there was a freezer to defrost. Boy am I old. Defrost? She said. She’s aware of what that means but confused on how to do that. Mom to the rescue! In looking at rental options, the one thing that drew my daughter to her current choice was the cabinet space. She comes from a long line of cooks. A good supply of pots and pans is imperative. Not to mention, there must be a spot for her Bavarian China from her dad and I. Then there’s the cleaning stash door. That is broom, vacume, mop. Can’t have too many Doors when it comes to cabinets.